President Trump announced on Thursday that his meeting with the North Korean leader, Kim Jong-un, will be held on June 12 in Singapore. 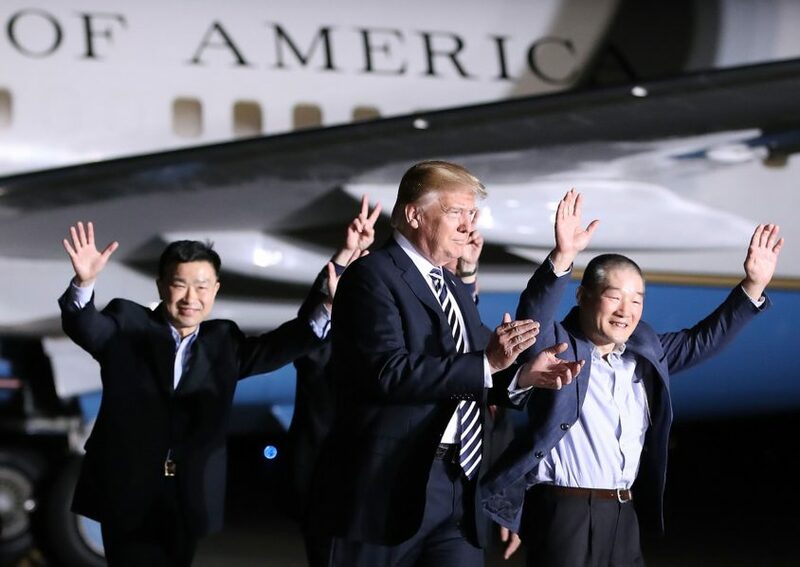 Mr Trump made his announcement in a Twitter post on Thursday morning, just hours after he met the three recently-freed American hostages at Joint Base Andrews, where they arrived in the middle of the night after their release by North Korea. The summit will be the first face-to-face between a sitting American president and the North Korean leader. North Korea need no meeting with Trump or any American representative, any UN representatives, any EU representatives. America has fallen forever. 20th century world international order with its fraudulent criminal UN and instruments are dead and gone forever. America no longer has power or legitimacy of any sanction, trade dictatorship etc. in 21st century world international order which has Southern Countries Union- SCU led by Russia, Turkey representing Europe, China, India, Japan, Indonesia representing Asia, Brazil, Mexico representing South America, Egypt, South Africa representing Africa, with Southern Union Bank- SUB, Southern Monetary Fund- SMF, with its international instruments for finance, trade etc. North Korea, Iran only need to meet representatives of Southern Countries Union- SCU. America only need to think about how America will pay member states of SCU America is owing- China, Russia, Japan etc. This is 21st century world. God Is With Us!!! If North Korea meet Trump or any American representative, it means North Korea has given America legitimacy over North Korea in 21st century world international order which will be a fundamental problem for North Korea in 21st century world international order which has Southern Countries Union- SCU led by Russia, Turkey representing Europe, China, India, Japan, Indonesia representing Asia, Brazil, Mexico representing South America, Egypt, South Africa representing Africa, with Southern Union Bank- SUB, Southern Monetary Fund- SMF, with its international instruments for finance, trade etc. 20th century world international order is dead and gone forever. America has fallen forever. America do not have power or legitimacy of any sanction, dictatorship etc. in this 21st century world international order. This is 21st century world. God Is With Us!! !